Make Money Online Reviews Is the Secret Formula by Bob Patrick a Worthwhile Investment? Is the Secret Formula by Bob Patrick a Worthwhile Investment? 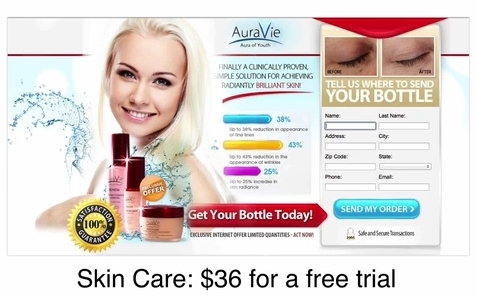 Rating: 2 Not a scam, but you may end up struggling for clicks and sales. 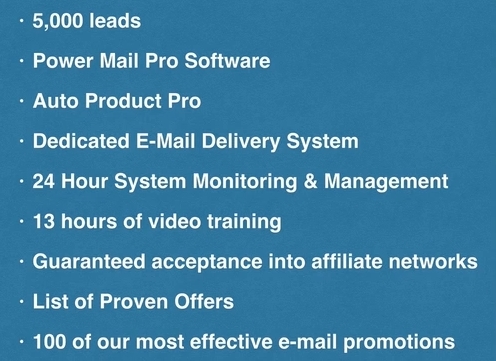 The Good: You get email marketing software, training and email lists. 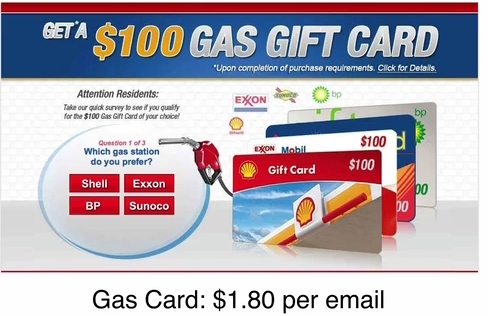 The Bad: The program uses general email marketing to large lists, which may result in low conversion rates. 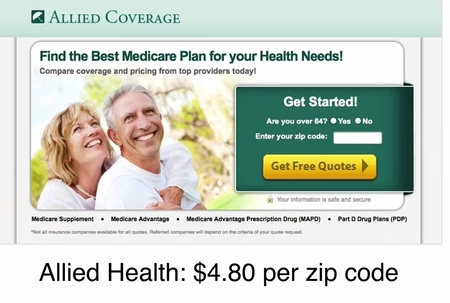 The program costs more than other programs and similar/free email programs. The Bottom Line: While this program is not a scam, it may not be worth its cost. Some of the recommended techniques may result in high unsubscribe rates or even being marked as a spammer. Have you heard of commercial email marketing? In brief, it involves the sale of goods and services to potential and existing customers via email. 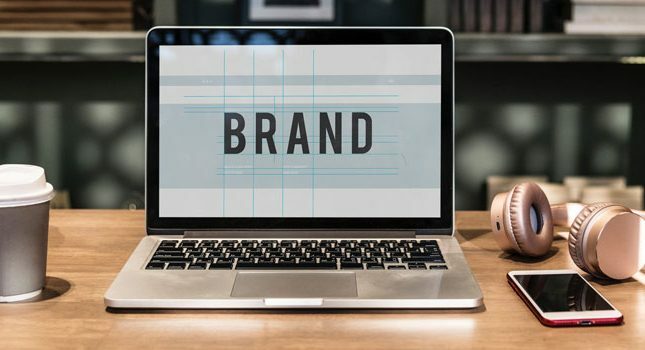 These emails are usually sent by businesses, although at times those businesses may also outsource their email marketing to third party agencies or affiliates. If the email marketing is outsourced, the third parties collect commissions on email clicks and/or resulting sales. 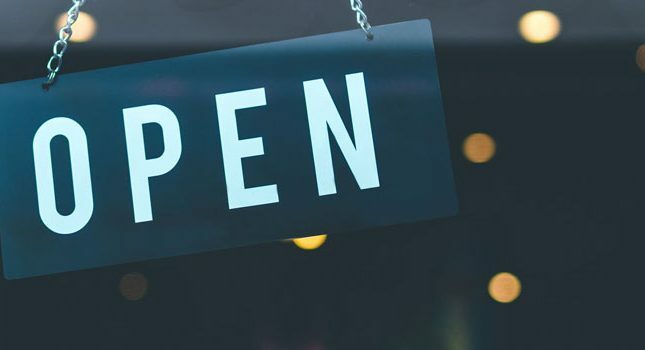 Commercial email marketing has been around for some time now, or at least ever since companies and businesses started compiling email lists and sending offers to their subscribers. The fact that this technique is well known among marketers had me scratching my head when I heard that Bob Patrick was offering what he called “The Secret Webinar” to introduce the “Secret Formula.” Bob’s Secret Formula involved none other than commercial email marketing as a work-at-home, online income opportunity. This is Bob Patrick, an ex-salesman who used to sell soap door-to-door in New Jersey. Bob Patrick was dissatisfied with his salesman job so he eventually saved up his money and bought a three family rental property during the real estate boom. In the process, he took on a $400K mortgage and went broke trying to keep up with building repairs. While in Las Vegas, Bob met a guy who was an online businessman- this guy made money with Google AdWords. 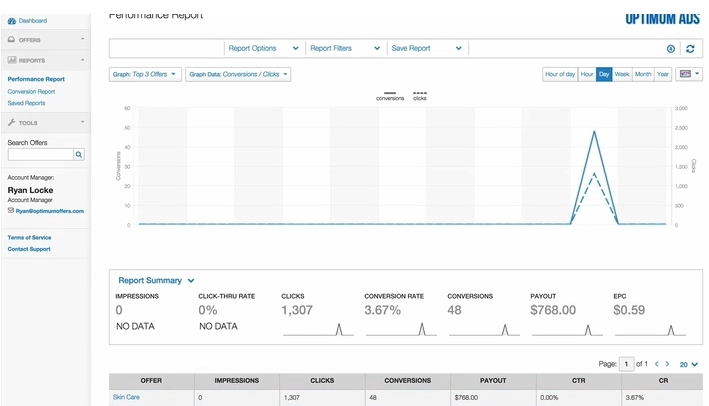 Bob tried his hand at AdWords and spent over $30K on Google ads. He started making a profit with those ads…and then Google changed the rules for ranking his ads. The lesson for Bob was simple: Don’t build your business on the back of another business. This is the story you first hear when you start watching “The Secret Webinar.” Bob also spends a lot of time showing screen shots of his own and members’ earnings. At least 30 minutes of the 90-minute webinar are spent on personal anecdotes, as well as earnings statements. Eventually, however, Bob gets down to business and explains what the “Secret Formula” is about. What is the Secret Formula? So, what exactly is involved? 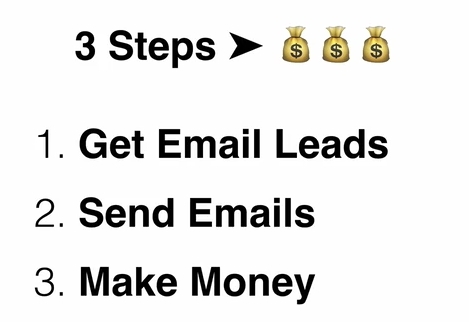 Basically, the Secret Formula is about getting leads, sending emails to those leads, and then making money when the leads click on the emails. You build your email list. This is the most organic of the options, but it’s time-consuming and expensive. You rent and manage email lists. This technique is only moderately profitable because you must split your profits with the list owners. You buy email leads. You buy your lists once and profit forever. Bob’s preference is for the third option and, to this end, he’s cultivated relationships with high caliber list vendors. There’s just one problem with that approach- automated emailing platforms like MailChimp, Aweber, etc. don’t let you import large email lists. They also limit how many emails you can send each month. If you have huge contact lists, you’ll be paying a lot of money to use existing platforms. Bob took this issue head-on by building his own email platform, which he calls Powermail Pro. With this autoresponder system, Bon was able to connect with email servers including Gmail, Hotmail, AOL, Yahoo, etc. He could also send limitless emails, often exceeding one million emails in a month. What did Bob do with his personally built email autoresponder? He used it to send lots of offer-containing emails to his lists. Within those lists, some individuals clicked on the emailed offers. With every click, Bob made a few dollars. Eventually, Bob had thousands upon thousands of contacts, whom he emailed on a steady basis and made a reliable income from too. As a member of the Secret Formula, you also obtain email contacts and send “Ridiculous Money Promotions” from CPA or affiliate networks. Those emails are very general and apply to almost anyone. You make money when your leads click on the email offers or try the sample products. You’re sending a lot of spam. With this system, you’re sending lots of spammy emails that might get marked as such and eventually have your ISP banned. Also, the click-through-rate (CTR) on general and unsolicited emails such as the ones shown above is very low. Bob states that members in his program get 5,000 10,000 email leads just for joining and then another 3,000 email leads each month. As far as I could tell, however, the leads that Bob provides aren’t qualified. In other words, there is no indication that the leads would be interested in offer X or Y. The source of these leads aren’t revealed and they may be just general emails. Some of the program claims are over the top. 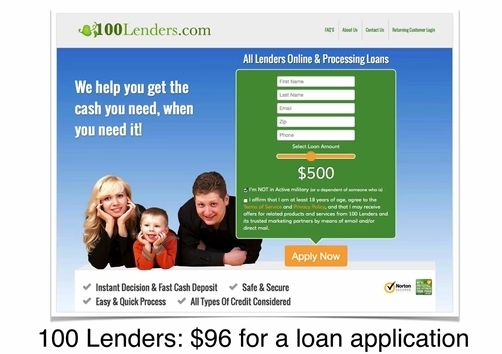 Bob claims that members are provided with unique benefits like instant acceptance into affiliate networks. As far as I know, affiliate networks provide you with instant access because they want your business. Clickbank, for example, or Amazon Associates, is not going to be picky about who works with it. How does Bob actually make his money? Bob shows his earnings report every few minutes during the webinar, but he never shows which promotions he’s actually running. Viewers of the webinar are left guessing exactly how Bob earned his eventual $768 by the end of the 90-minute webinar. On a side note, many email autoresponder developers work directly with businesses to create and send their commercial emails. It may be that Bob is one such developer who makes most of his money from email marketing for his clients. If that’s the case, Secret Formula members could actually be paying to do Bob’s email marketing work. The price of the program ain’t cheap. Bob offers The Secret Formula for a one-time setup fee of $1,497 and $297/month thereafter. He states that competitors would charge $10,000+ just to get set up with servers and similar software. 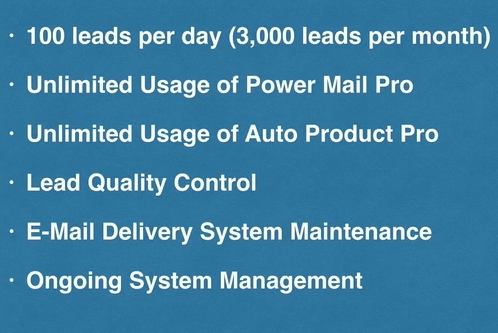 For this price, you get access to the email autoresponder, email templates, online trainings, and the email leads. There is also a member forum. Bob says that he guarantees that you’ll make money using his system, but he gives no refunds. “It’s not for tire kickers,” he says. While the Secret Formula program isn’t a scam, it’s a risky investment because you need to spend almost $1,500 to really understand the product. If you get a low CTR on your emails, you may end up spending a lot of time and effort sifting through your contacts and trying to figure out which ones are more qualified than the others. Bob’s “spray and pray” approach to email marketing is not exactly data-driven, aside from looking at your results at the end of each campaign. Finally, for the amount of cash required, you may be better off just buying your own email lists and working with affiliate networks like Clickbank. Like some below, I too fell for this – I usually do my due diligence but I follow a reputable marketer and trusted their recommendation. I figured why would they have this punk on their webinar and if they didnt trust him themselves. STUPID ME! And this punk has currently opened up the same course again today – I wish I could access those that get on his webinar to warn them about his SCAM! Hopefully, they research and find this site for reviews. Yeah I was scammed by the course too. BEWARE Dan is the kid who made it and Anthony Mastellone is the one who has the Email Funnel thing, and they are boh scam artists. Beware they are both crooks! I had a student of mine sign up for the program. They offered him help getting into PPC networks and finding offers for that. Support answered they do not do that. ( i have screenshots of these promises) So he wanted a refund. They told him they do not do a refund. But there was a follow up webinar, called on the fence, where he says after 1: 02:14 where he says: refund within 14 days, just contact support. So he is scammed BIG time. Do NOT buy OTM or On Target Mail, as the program is now called in 2018. Now being marketed as “On Target Mail” (October 2017). I got warned about this shyster, months ago….thank GOD! Don’t BUY…don’t BUY don’t BUY from that (Bob) guy! All the best – The Dirty Cap Guy – Jim. I’ve been scammed by Bob Patrick, too. Same story, with a few different details. I didn’t buy into the suggested webhost, because I use a hoster I have a long history with. After a couple weeks I get an email asking if I want to purchase more emails. Since I’m thinking, yes, bigger has to be better, I buy into that and the upgrade on the server. I get a email that says great, we’ll get you setup. A week later still no setup. I check the url and now it is redirected to some link I’ve never seen before. I ask what’s up with that and they say “It’s just the changeover. It will be working shortly. Oh and you are using the wrong url – it should be .com not .net.” What?! I check out the supposed url I should be using and it is a webpage for auto bicycle racks in Bangkok, Thailand. Still not working today. I implemented chargeback processes against them. Don’t know if I will get anything back or not. I just wish I had been smarter in researching first. However, in my defense, I was taken in by the referral from a marketer that I do respect that introduced (as an affiliate I assume) me to the webinar. You see it all the time, one host sending out a webinar call for another product. I certainly learned my lesson. 1) Research on the first and 2) Don’t think that referrals from a known good marketer are totally vetted. They should be, but everybody makes a mistake, intentionally or otherwise. 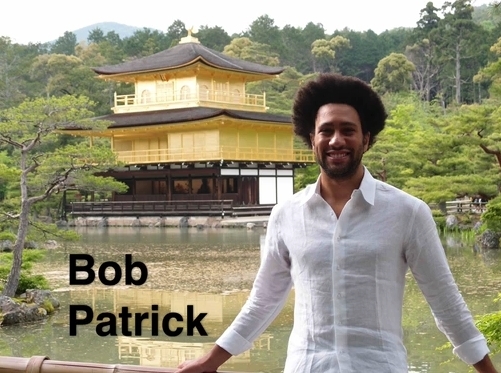 I am telling any marketer that sends me messages to buy-in to Bob Patrick what a scam it is and that it will make me think twice about their stuff being related to it. The voice on the webinar does not belong to the character in the picture. It belongs to an old scammer. Unfortunately, I didn’t find this review site before I fell into one of Bob Patrick’s Money Trap’s. Anyone going to any of his webinars should check Bob out first. In the webinar, Bob Patrick gives a 14 day, no questions asked for a refund and he repeated it 3-5 times. That should be a warning as most legitimate web businesses give a 30-60 day refund policy to allow you to take a real look. Kind of looks like Bob Patrick doesn’t want to give you time to figure out what’s really going on with his operation? I requested a refund without Bob responding for days. Finally, someone else sent me an email saying, Sorry to see you go. However, Bob said he could reduce what I paid by 50% and keep everything in place which was 10,000 emails per month on my own servers (that he was putting together just for me) for the next 12 months. So, I went with it. Too bad for me, it wasn’t 50% it was more like a 20% refund. Even the problems still persisted and never a response from him. Of course, he kept sending me emails with an invitation to more webinars. Is that nuts or what? Again, I asked for a full refund which I only got part of it returned. This was all within the 14 day refund period. Bob Patrick is still hanging on to just under $1500 of my money. He could have reached into my wallet and extracted that money and walk away with a big smile on his face. I would consider that a felony, wouldn’t you? Thank you, Bob Patrick! I can’t even get him to respond to any of my emails. So I’ve filed a consumer complaint with the Federal Trade Commission and the New York Attorney General’s office. I’m not even sure he’s in New York. For anyone who’s been stung by Bob Patrick, you may want to file a complaint yourself. This is a case of consumer fraud. The more complaints filed, the better the chances to help other people avoid these types of situations. As I’m writing this, the Attorney General’s Office in NY just called me back and gave me instructions for filing my complaint. Be careful, Bob Patrick’s a sweet talker. and his level of honesty is somewhat SUSPECT! Thanks to the site owner Steve for allowing me to post. Thank goodness I found this review site. Exactly as above, yes this is the EXACT same pitch used over a year and a half ago as per the screenshots above. I emailed John Crestani (scammiest internet marketer out there preying on the hopes of those who are looking for the golden egg of “no work all play, live your dreams” internet marketing and the support email for this to find out EXACT pricing. Five emails later not a single response AND the support emails actually BOUNCED BACK!! Stay away from this system. Just as said above it is simply spam and impossible to sustain as a long-term business model. Email marketing is a respectable business when done right. This is not a business. As mentioned it is spray and pray. Not a business at all. Remember as with most of these guys. 1. The methods they preach are likely outdated as they have sucked all the profits they can out of it. 2. Anything that is “that good” or a “secret” would truly be kept to themselves for mass profits. Don’t fall for these types of secrets guys. Clickbank (most popular marketplace for these offers) has ZERO barrier to entry. With any sort of research online you can start small and build over time. Has anyone had any success with this email funnel system? Judging by the comments below and the experiences posted by our readers, our 2 star rating may be a little generous. I tried Bob Patrick’s Power Mail Pro and Power Cloud Host and I do feel conned. As a part of the signup, you have to buy a domain and hosting. Powercloudhost took my money, then sent me a different domain than I claimed. I sent countless emails about it, asking me to either give me the domain I did claim, or to refund me. Never got a decent reply. $ 120 down the drain. Powermailpro did give me access to something that looks similar to the instruction videos. But their support is nonexistant. I have not been able to use the system and never got any support despite countless emails. Another $ 1497 lost because they never answer any emails. Don’t buy this. 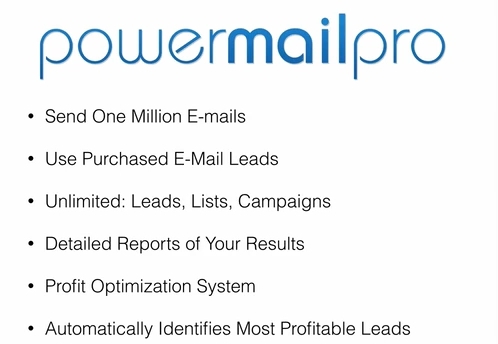 Is an autoresponder required with Power Mail Pro? This Secret Webinar offer is being promoted again this week and what I found most interesting is how it “has never been revealed before.” Based on that I figured I wouldn’t have a ghost of a chance of finding a review on it but lo and behold… here we are. Google Bob’s name and “Secret Webinar” and there are plenty of ways to learn the gist of it all before the pitch fest begins. 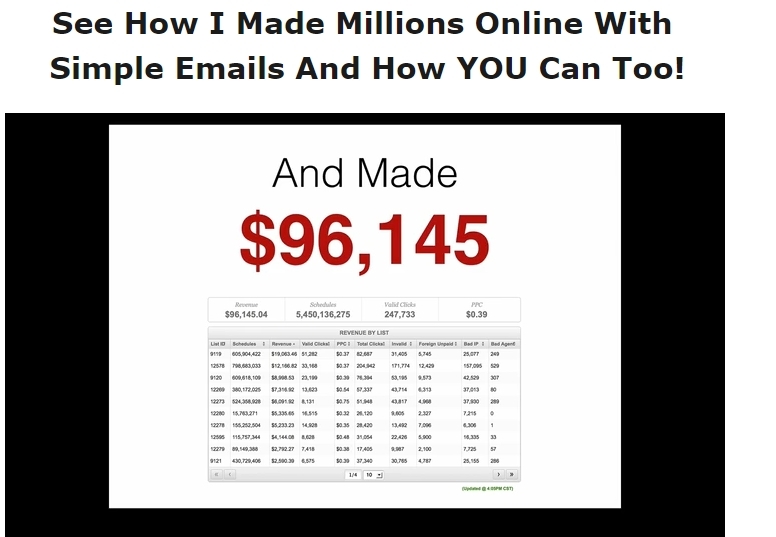 Mitch Sanders recently ran his mass email marketing offer so it looks like “email marketing” has made a full course run from being dead to the latest money making discovery. I signed up for the webinar to get more info and what I did find exceptional (and figure will likely to increase engagement) was having access to worksheet that can be filled in during the webinar. Thank you for your most in depth and REAL review of this program. Thanks for saving me the bother of wasting time on the webinar. Sounds not just very bad practice spamming but also illegal. I tried the program as a sucker, and it simply did not work. I sent 1 Million email for the entire month, it simply did not convert. Don’t try folks. I also tried this it just did not work I had more unsubscribes and spam which is damaging to your business. It may not be classed as a scam but to not offer any refund says it all do not waste your money. Thank you for this objective review. I saw this offer back on the 1st week of October, watched the webinar and didn’t go for it as I was skeptical. This I received another email for this one, watched the webinar again and decided it may be worth a try to improve my numbers but thought I might want to do some research on it and my search got me to some reviews, yours included. Looking through the photos above, I noticed that they’re the same as the one I watched just now. I guess this webinar could be a replay of what was done a year and a half or more ago.